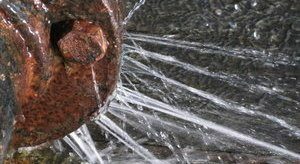 Should your home be damaged due to the issues like pipe bursts or flooding, the water damage Catalina Foothills team from 911 Restoration Tucson are always ready to lend you a hand. 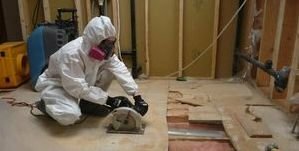 So that will give your home a fresh start, our water damage Catalina Foothills specialists are trained and equipped to provide you with top notch repairs and restorations. We are available 24/7/365 to take on those emergencies as they happen and provide complete comprehensive solutions that will make your home look good as new. We have more than thirty years of experience in helping homeowners deal with all kinds of water damage situations. You can expect our team to work with speed, care, and professionalism. We are IICRC certified which means our water damage Catalina Foothills technicians have undergone rigorous training to perform restoration work using advanced drying equipment to better deal with these concerns. Once you give us a call, you can expect us to be there within 45 minutes of your call so we can get your home back in shape as soon as possible. Through our lightning-fast response and availability, our water damage Catalina Foothills experts will be able to address water damage before any complications like wood rot and mold growth can set in. Once the water damage Catalina Foothills team arrives, you can expect a free visual inspection to assess your home’s current condition. Our assessment will help us recommend the best solutions at the most affordable price. Our advanced water removal equipment will make it more efficient to extract water and moisture out of your home. We’ll make sure to check every nook and cranny of your home like the crawlspaces for any signs of moisture or mold growth. Should be detect any signs of fungal growth, you can expect us to perform remediation work that will get it removed thoroughly. To handle sewage backups, we’ll extract the sewage out of your home and disinfect the affected area using our industrial grade detergents. We will also repair any damage done to your plumbing and interiors. Allow our team of water damage Catalina Foothills technicians to take care of water headaches like ceiling leaks and sewage spills. Give 911 Restoration a call today!